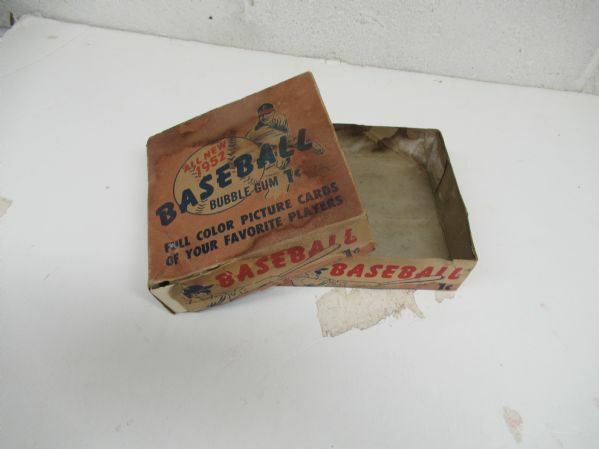 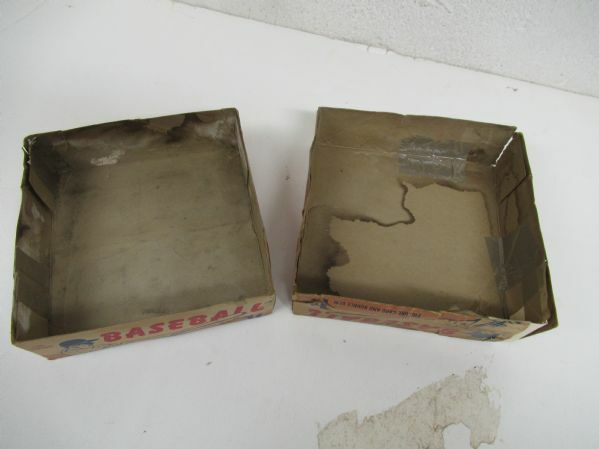 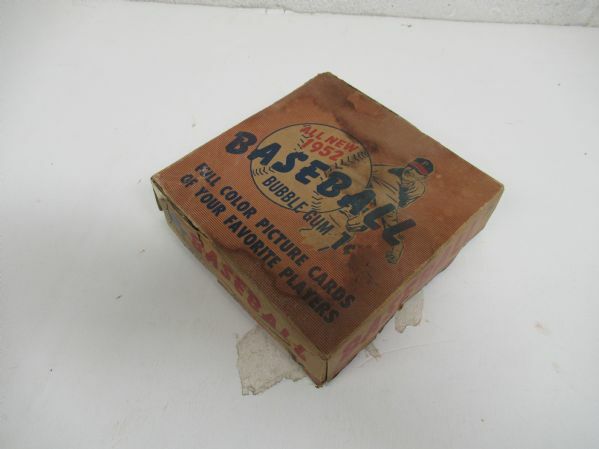 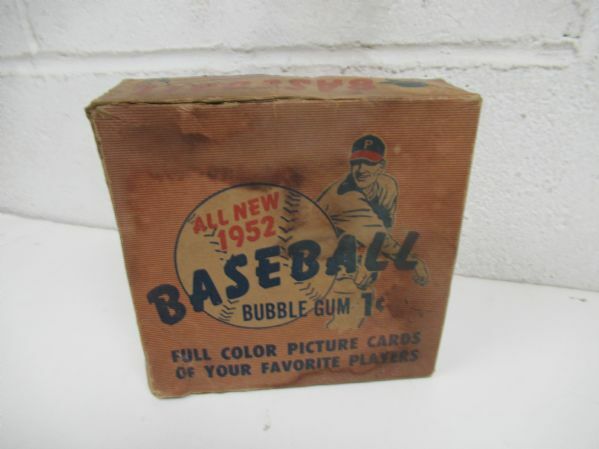 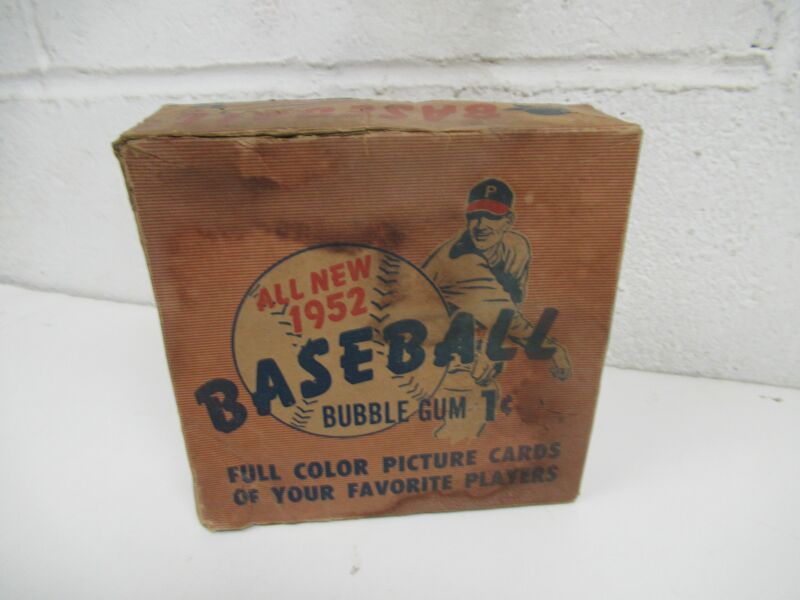 1952 Bowman Baseball empty wax 1 cent display box. Two piece box with a top and bottom interlocking sections. Shows some staining in spots and has a small repair job on lower front panel. 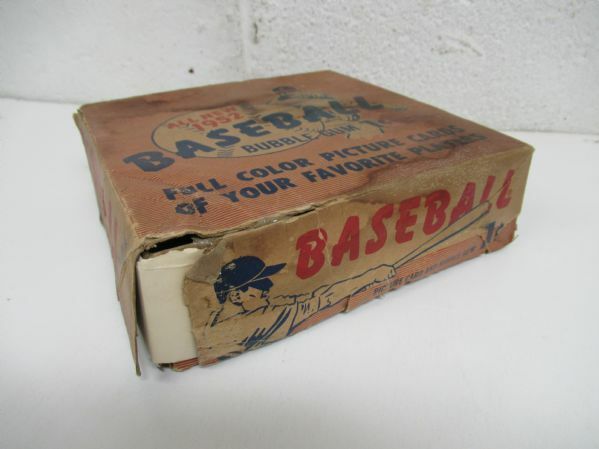 Highly desirable box that is tough to find.